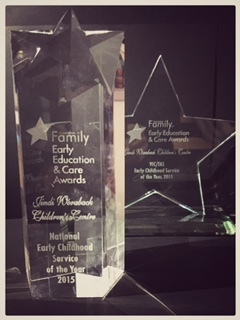 Child care and kindergarten in St Albans offering holistic, personalised day care and education - catering to all families in the city of Brimbank. 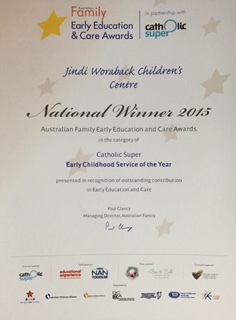 Jindi Woraback is a unique child care and kindergarten centre, providing services for families in the City of Brimbank, located in St Albans. Jindi Woraback means to join & unite and was given to us by the Wurundjeri people who make up part of the Kulin Nation. Our focus is on developing and valuing the unique skills and interests of every child. This is done through positive play and self-evaluation. Your child won’t experience rote learning or ‘ability checklists’ (such as tying shoes or reading by a certain age) for entry. The unique program offered at Jindi Woraback is designed to encourage children with additional needs. This may include children (or families) for whom English is a second language, those with developmental delays, or other conditions such as autism. Being connected to environment and community is key. 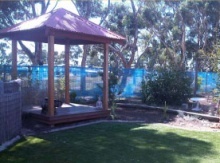 Your child will play in natural environments, including areas such as our rock garden, veggie garden and bali hut. We provide sunscreen and nutritional meals. Our experienced and caring staff are aware of all aspects of anaphylaxis and other allergens. Your child’s safety and well being is our number one priority. We prefer a face-to-face meeting with families and children rather than assigning people to a waiting list via telephone or email.